Venison steaks are a lean meat that you can make tender and delicious when cooked in the slow cooker with condensed soup and vegetables. The slow cooker method uses braising, first browning the steaks and then cooking them with a little liquid for a long time at a low temperature. Venison refers to the meat of any species of deer, and this recipe also applies to elk, moose, caribou, and antelope steaks. You may be able to find farmed (or ranched) venison from some sources. Both farmed and ranched venison might be pastured and grass-fed, but ranched venison usually denotes that the animals are free-range and eating a more varied diet. The meat from farmed venison will usually be less gamey and have a more subtle flavor than wild venison. The meat is processed according to U.S.D.A. guidelines and is subject to inspection. Hunters are a source for wild venison, which will often have a stronger flavor. When you use hunted venison, you have to trust that the meat was properly field-dressed and processed. Some hunters use a local game butcher to process the meat while others do it themselves. In a heavy skillet, heat the shortening or oil. Add the venison steaks and brown them on each side. Transfer the steaks to the slow cooker. Add the chopped onion and bell pepper to the drippings in the pan and saute them till softened. Add 2 tablespoons flour to the cooked vegetables and stir until well blended. Stir in the soup and water (or broth). Taste and add salt and pepper, as needed. Pour the soup mixture over the venison steaks in the slow cooker. Cover and cook for 7 to 9 hours, until tender. 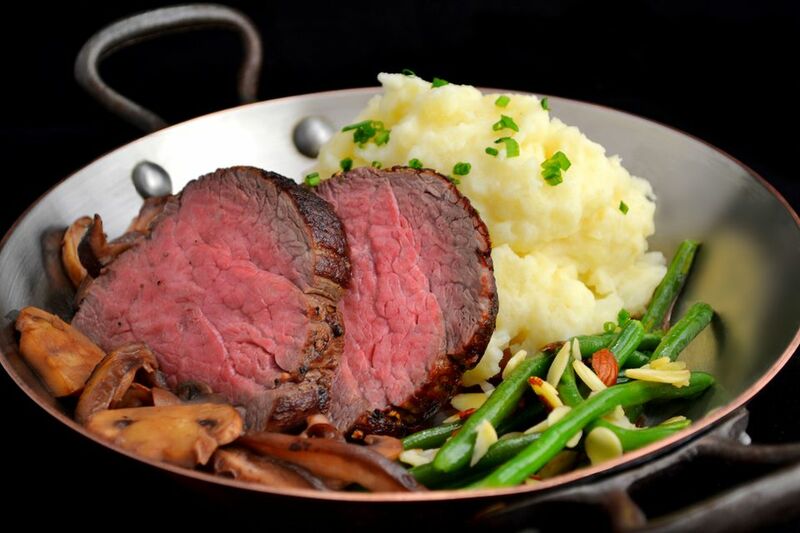 Venison steaks pair with side dishes similar to beef steaks. Mashed potatoes or wild rice make a good starch but also think about sweet potatoes. Baked or fried sweet potato wedges are a good choice or simply make mashed sweet potatoes. As venison is often hunted or harvested in the fall, think of seasonal winter vegetable pairings such as steamed or roasted broccoli, cauliflower, or Brussels sprouts. The sweet taste of steamed carrots also goes well with venison. If you want a good wine to serve with venison, think of a full-bodied red wine such as cabernet sauvignon, pinot noir, or syrah. Beer lovers can choose a dark porter. If you would rather use your oven, place the steaks and soup mixture into a Dutch oven, cover, and cook at 300 F until the steaks are tender.